We teach a new way of thinking you can apply to your role in real time—and over the course of your career. Studying the same general management curriculum taught in all Duke MBA programs, you’ll take a core that spans all the functional areas of business. Elective courses refine your understanding of one discipline or broaden your experience across many, and you have the option to concentrate or earn a certificate in a chosen specialty. With more than 20 electives, five concentrations, and a certificate option to choose from, as well as an opportunity to internationalize your degree with a Global Academic Travel Experience, the curriculum adapts to your goals. The Weekend Executive difference comes from our focus on enhancing leadership capabilities. You’ll gain insight and practical experience through an integrated set of courses designed by top researchers in leadership, ethics, and organizations. With individual coaching, you’ll create a leadership blueprint to achieve personal and professional goals. With a curriculum that works for you and a new lens on leadership, you’re ready for impact. Explore a selection of the core courses and electives available to you. Learn about financial accounting, reporting, and measurement problems from a theoretical and an applied basis, using cases and topical problems in financial accounting as a foundation for your general management experience. Sharpen your perspective by delving into markets and how they work. Examine the decisions of firms, consumers, and governments and their interactions to determine market outcomes as you explore a variety of market structures. Learn about the internal use of accounting information by managers to plan, control, and evaluate operations and personnel. You’ll integrate accounting with ideas from microeconomics, data analysis, finance, and operations management, gaining a holistic understanding with practical skills. Gain a nuanced understanding of the underlying forces that influence marketing decisions, including customer behavior, competitive marketing activity, and organizational considerations. Examine structures for managerial decision making under conditions of partial information and uncertainty. After developing a foundation in probability theory, you’ll develop a set of methodologies for the analysis of decision problems such as probability, statistical inference, and regression analysis. Enhance your ability to address complex management problems through the use of formal modeling and quantitative analytical techniques. Special emphasis is placed on decision making under conditions of uncertainty and constrained resources by using analytical techniques such as decision analysis, Monte Carlo simulation, and optimization. Step into the shoes of a manager to solve current business problems under uncertain, ambiguous, and dynamic conditions. Case analyses and guest speakers help you put theory into practice and test solutions as you evaluate markets and strategies, functional area integration, leadership, and implementation. Learn about planning and controlling the processes used to produce goods and deliver services to customers. You’ll gain an understanding of production processes, process performance and improvement, inventory management, lean productions, quality management, and the strategic role of operations in the firm. Get a broad perspective on corporate finance, financial markets, portfolio diversification, and asset pricing in a global setting. You’ll examine bonds, stocks, derivative contracts, and capital budgeting techniques and be introduced to futures and options markets. Understand the role markets and institutions have in shaping national and international commerce. You’ll acquire the tools to analyze the performance of national economies and global relationships and examine governmental policies affecting economic performance. Four required courses connect across your experience, building on each other as well as the personal insights you gain through the program. This leadership curriculum provides an academic framework to address relevant issues along with opportunities to practice new skills. Prepare yourself to become a more effective leader and manager, regardless of your career path, and to be an analyst of how best to organize people. Learn the factors that contribute to an organization's performance and the ways firms design and manage strong systems and effective leadership to meet current challenges. Complementing the principles taught in Leadership, Ethics, and Organizations, this outside-the-classroom module includes team and individual activities designed to strengthen your skills in teamwork and leadership. Exercises help you learn more about your teammates and identify your own strengths and weaknesses as an effective team member and leader. In this second ILE course, you’ll build on the self-awareness you’ve gained through the program by engaging in experiential and classroom-based personal development opportunities that evolve your teamwork and leadership capabilities. This course addresses leadership as a topic separate from management, providing context on achieving the right mix of the two depending on the situation, the role, and the person. You’ll learn the role leadership plays in an organization, as well as its effects, while developing practices that can make you a more effective leader. You'll explore your own style, strengths, and weaknesses, as well as more general principles of effective leadership. The course also serves as a forum and focus for your development as an executive and as a person, building skills that will make you more effective in your professional and personal life. Our certified leadership coaches can assist you in clarifying your leadership challenges, so you can learn to improve. Students with an interest in leadership coaching beyond the class curriculum will be able to expand the coaching relationship for an additional fee. You’ll take four electives during a concentrated 2-week campus residency in Term 5. During this Elective Term, your cohort expands to include Fuqua’s Global Executive MBA students. These teammates come from around the world and represent different industries, so you’ll get practice with a brand-new set of professionals. After the extended residency, you’ll continue working together remotely in a 10-week distance learning period that includes live online classes every Saturday morning (EST). While elective courses will change from year to year, here are some of the topics that may be available to you. This case-based course examines important issues in corporate finance from the perspective of managers who are responsible for making significant investment and financing decisions. Built around valuation, governance, law, and associated strategic considerations, this course establishes frameworks and tools to consider healthy company valuation and restructuring, then emphasizes distressed restructuring and reorganization. Countries in emerging markets have a growing commercial infrastructure (legal institutions, capital and labor markets, external supply chains, physical infrastructure) that makes them among the most dynamic economies in the world. This course explores strategies firms adopt to compete at home and abroad. Explore how ongoing changes in energy supply, demand, and technology are affecting energy markets and the businesses that operate within them. Gain an understanding of specific transformations, including shale gas and shale oil, renewable power generation, energy efficiency retrofits in buildings, and recent governmental regulations/incentives. Evaluate considerations for starting a new venture, including market entry and the platform needed for growth. With innovation as a common source of competitive advantage, you’ll also examine the features of firms that make innovations profitable and how they protect their profits. While the focus will be on entry into innovation-intensive industries, this course provides tools and information essential to any entrepreneur. Using tools from business and the social sciences, you’ll examine challenges faced by managers, patients, and policy makers in the health sector. The course aims for broad coverage of health care, including manufacturers and providers, but pays special attention to payers. Develop an understanding of the institutional structure and fundamental concepts of asset valuation in financial markets, learning analytical tools to value different types of securities. You’ll explore the institutional background of security markets, concepts of market microstructure, and recent advances in asset pricing theory. This course focuses on making decisions with marketing data. You’ll explore typical problems where insights prove useful, including new product introductions, customer retention, and pricing. Focusing on how to frame your decision and the information required to make it, you’ll learn how to acquire secondary and primary market research, judge the quality of your data, and interpret it. This course explores the art and science of securing agreements between two or more interdependent parties, helping you to understand the theory and processes of negotiation while gaining skills through extensive case analysis, role playing, and simulation. Gain an understanding of the functional and strategic role of distribution in both the manufacturing and service industries. Learn to evaluate distribution strategies in terms of costs, service to customers, and competitive impact and to analyze the costs and benefits of cooperation and coordination between different firms in a supply chain. Explore the role of financial statement information in equity valuation using cases developed from actual financial statements. You’ll gain a strong theoretical and applied understanding of the equity valuation and stock selection approaches used by financial managers, investment professionals, securities analysts, and portfolio managers. Learn how financial, legal, and economic issues are addressed in financial contracts between venture capitalists and the firms in which they invest, with a focus on the perspective of the private equity investor rather than the entrepreneur. You’ll understand how capital is provided to start-up firms in growing industries, as well as the ways private equity markets help established medium-sized firms grow and restructure. 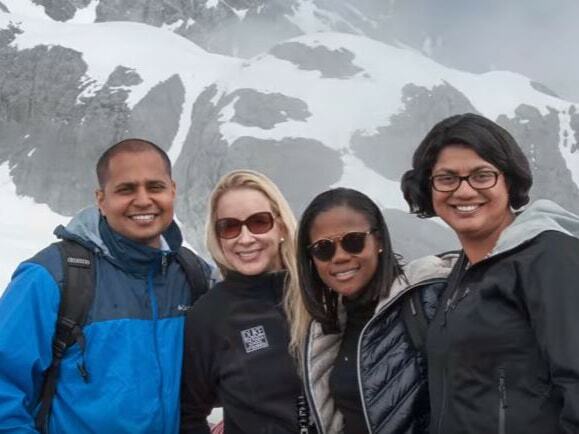 This optional three-credit elective course is taken with Fuqua's Daytime MBA students, exposing you to international business through in-class and in-country experiences. You’ll study the business, culture, economy, and politics of a country or region for one term, then travel there to put learning into practice. Visiting multinational corporations, local enterprises, and government agencies, you’ll gain a broader perspective of the political economy. Engaging with alumni and industry leaders gives you a sense for career and business opportunities, while historical tours, culinary experiences, and other leisure activities help you learn more about the local culture. The in-country portion of your GATE occurs between Terms 3 and 4 and is typically 12 days in length. Learn more about GATE, including the associated Tuition + Costs. 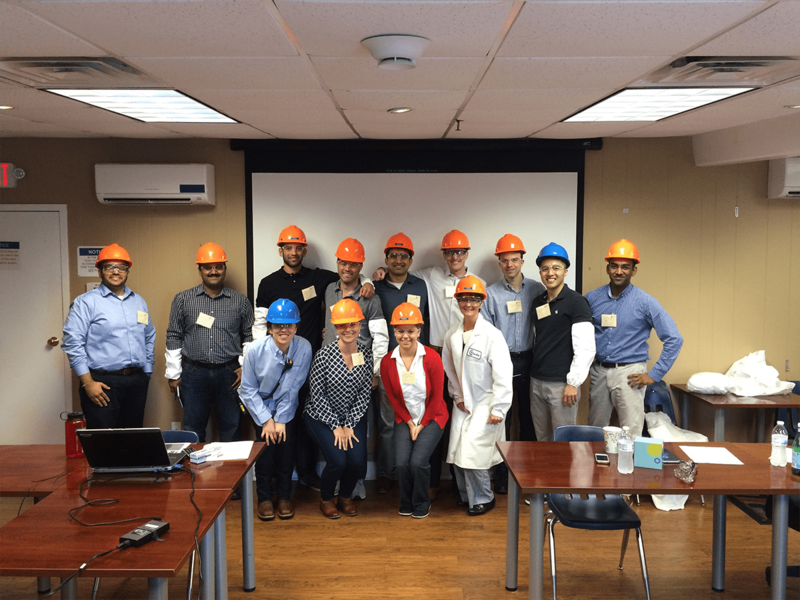 To bring operations management concepts to life for her classmates, a student organized visits to BMW and Solvay plants in South Carolina. Faculty collaborate in research and teaching across their disciplines to provide a more integrated learning experience. They are humble and believe they have much to learn as well as teach, so you’ll find that your professors embrace insights from your experience and the wider world. Your professors will use the best mix of instructional methods for each course, which may include cases, discussion, simulations, lecture, and experiences. All courses rely on discussion along with a combination of individual and team assignments. Case studies analyze a business problem from a real-life scenario with imperfect data. Using what you learn in class and what you know from your collective team experience, you’ll recommend a solution. Multi-view discussions result from the open classroom environment we foster. Faculty involve everyone—so you learn from your classmates and vice versa. Lectures are used to efficiently communicate concrete concepts—perhaps how the weighted average cost of capital is calculated for a firm, or the differences between intrinsic and extrinsic motivation in evaluating compensation structures. Interactive exercises are used for constructs that are best experienced rather than explained, in particular for courses focused on leadership and culture. Fuqua is serious about ethical leadership, and we create a climate of integrity. All members of our community are governed by Fuqua's Honor Code. By electing to join our community, in turn you’ll be expected to abide by our standards of honesty and integrity.